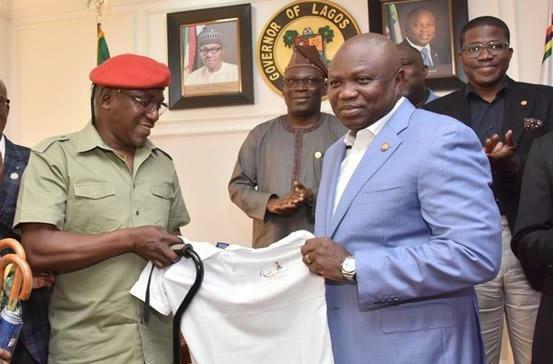 The Minister of Youth and Sports Barrister Solomon Dalung has congratulated Governor Akinwunmi Ambode for a 4th consecutive successful Access Bank Lagos City Marathon. He made the remark on Saturday in an interview with journalists at Eko Atlantic where the race took place. Barrister Dalung said that Gov Ambode has set a precedence in sports development by adding not only to the economic value of the state and country but also empowering a large number of Nigerian youths through sports. “Governor Ambode has set up a very viable sports event that has strengthened the tourism potentials of Lagos state. 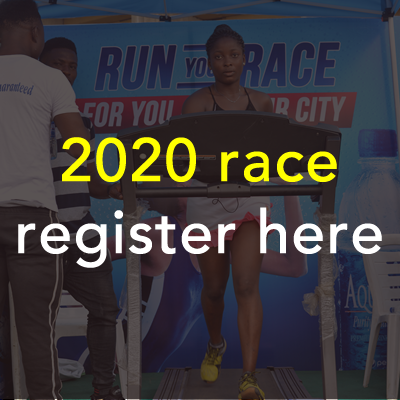 Over 100,000 athletes from 58 countries participated in this edition of the Marathon which means that the world is beginning to accept the Lagos City Marathon. “Personally, I am overwhelmed that it happened during my tenure as a minister and I pray for the sustainability of this marathon. If you assess the Lagos City Marathon, they have done well becacause you have to look at the history of where they’re coming from. “From a background of an abandoned situation, Nigerian athletes are now coming up. Those who made it last year also took the first position at the Ibadan City Marathon, meaning that they are progressing. I want to challenge states like Taraba and Plateau where potentials of Marathon reside. They should go back to the drawing board and save Marathon race in Nigeria by investing in it. As a Ministry we are also going to direct our policies towards deliberate support and encouragement of Marathon races in Nigeria . Earlier, the Executive Governor of Lagos state Mr Akinwunmi Ambode thanked Lagosians especially the runners who trooped out to participate in this year’s edition. He assured that the Lagos City Marathon will be sustained in the next administration. “The future of Lagos state belongs to the young people. I say a big thank you to all Lagosians for tolerating us in the last four years. This is the fourth time we are doing this Access Bank Lagos City Marathon and its been improving year in, year out. This year we had 58 participating countries, and over 100,000 runners. Ethiopia’s Suntayahu Legese and Dinke Meseret came tops in the men and women’s category while Ilya Pam of Plateau state was the first Nigerian runner to breast the tape.